Matt and Anna’s relationship is going swimmingly, until the sewers under their apartment open up and begin to speak. The plumber is angry, Matt’s paintings are getting stranger, and a storm is gathering. An eerie comedy about what is real, what is not and who knows. Featuring The Bats: Ivan Dolido, Marlowe Holden (a cautionary tail, The Cutthroat Series), and Donaldo Prescod (The Wundelsteipen, Future Anxiety). Understudies: Jack Gilbert, and Kristin Friedlander. The creative team includes Andrew Diaz (Set Design), Travis Alexandra Boatright (Costume Design), Scot Gianelli (Lighting Design), Elliot Davoren (Sound Design), Cristina Pitter (Props Master), Amy Jo Jackson (Voice and Speech Coach), and Colleen McCaughey (Stage Management). Cory Finley is a Brooklyn-based playwright and a member of Youngblood at Ensemble Studio Theater and the Clubbed Thumb early career writers group. His plays include The Private Sector(Theater for the New City, Icicle Creek Theater Festival @ ACT Theater), Brenda (FringeNYC), and Animals (ANTFest). He’s a Sloan grantee and is developing an electronic musical through Uncharted at Ars Nova. His work has been presented by Prospect Theater Company and the apprentice company at the Actors Theater of Louisville, and included in the Lincoln Center Directors Lab. Courtney Ulrich is a New York based director, originally from London. 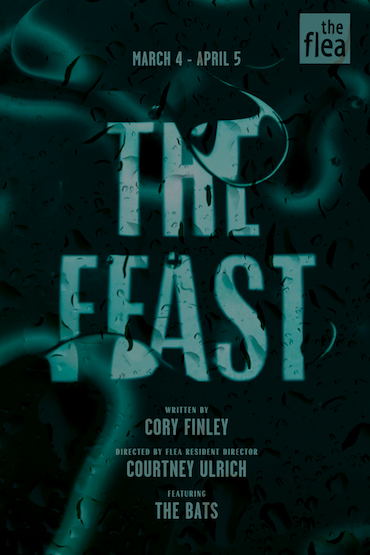 Past directing credits include White Hot (The Flea), Asking For Trouble (Ensemble Studio Theater), #serials@theflea, Harvest (Atlantic Theater Conservatory), Encounters (Kid Brooklyn Productions, IRT), American Nightcap (INTAR), 7×7 (The Tank), Sousepaw: A Baseball Story (Shelby Company), The Love of Richard Nixon (24 Hour Plays). She has also worked with New Dramatists, Atlantic Theater Conservatory, Target Margin Theater, Rising Circle Rep, The Foundry Theatre, Cornerstone Theater Company in LA, Sojourn Theatre Company and Arena Stage in DC. She is an SDC Observership Fellow and took part in Old Vic New Voices. She has a B.A. from Georgetown University.